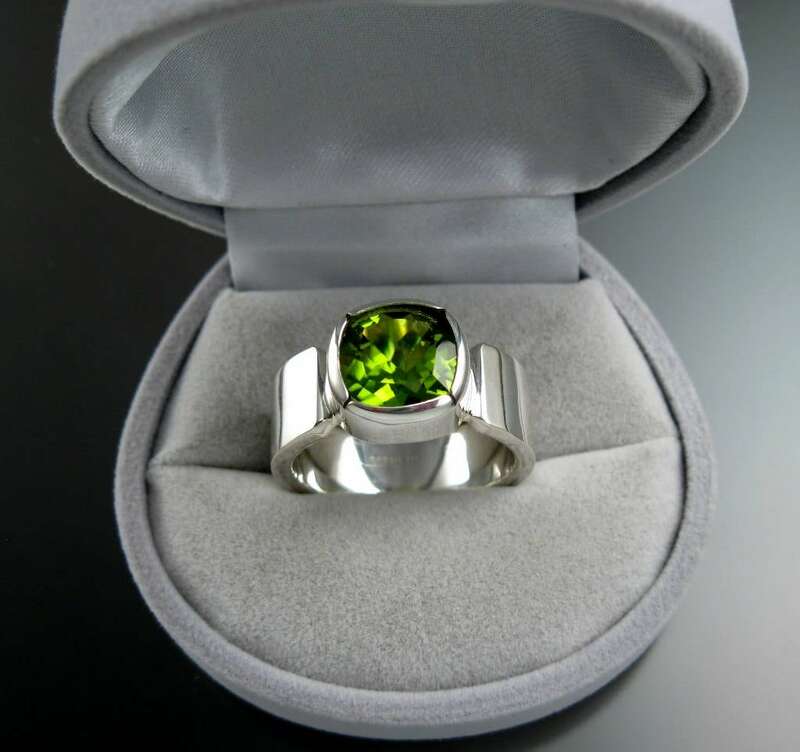 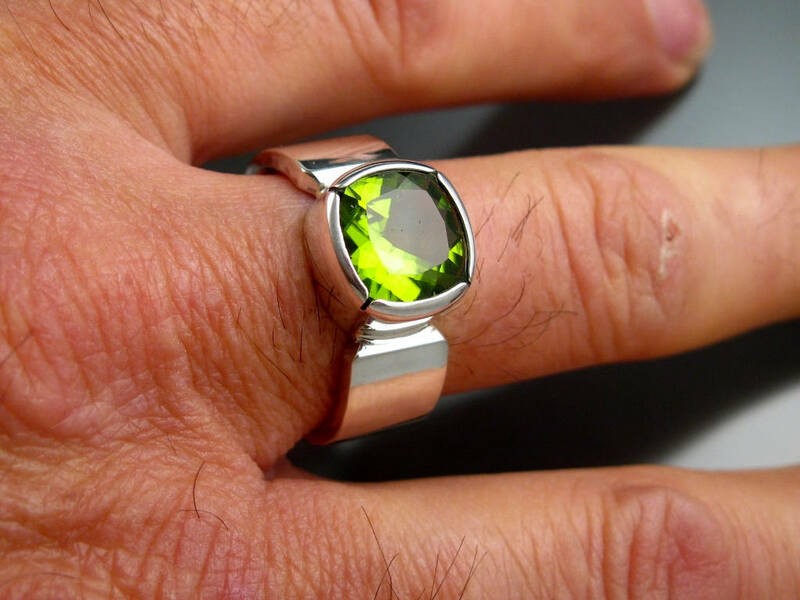 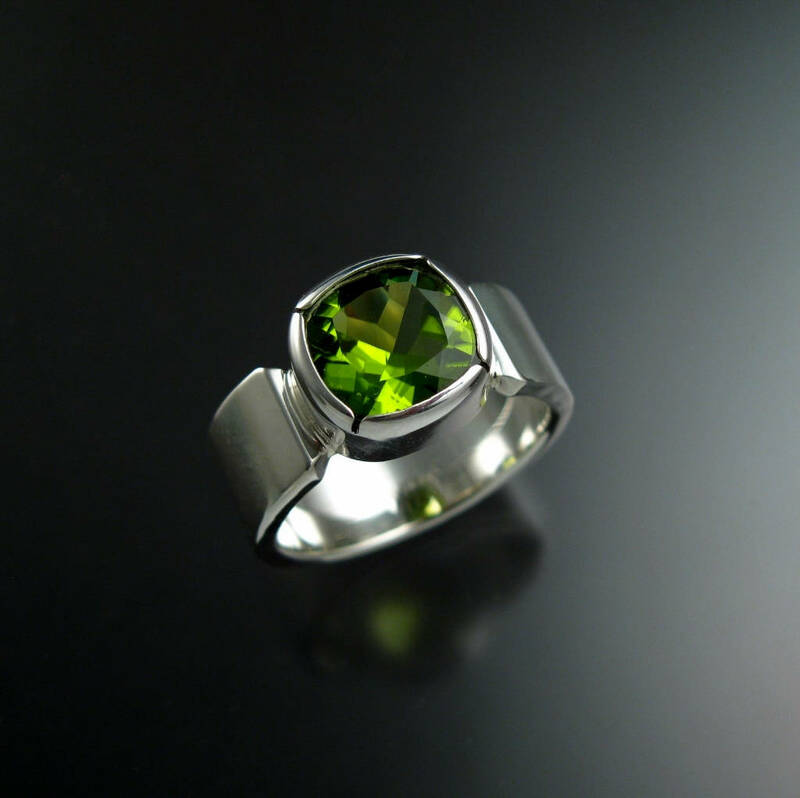 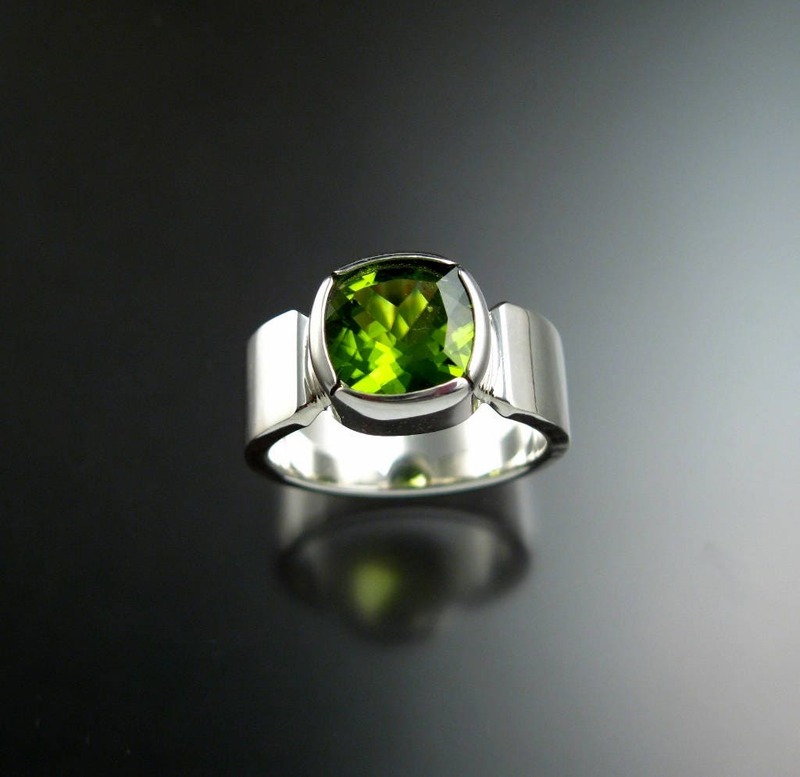 This large natural Peridot is bezel-set in sterling silver. 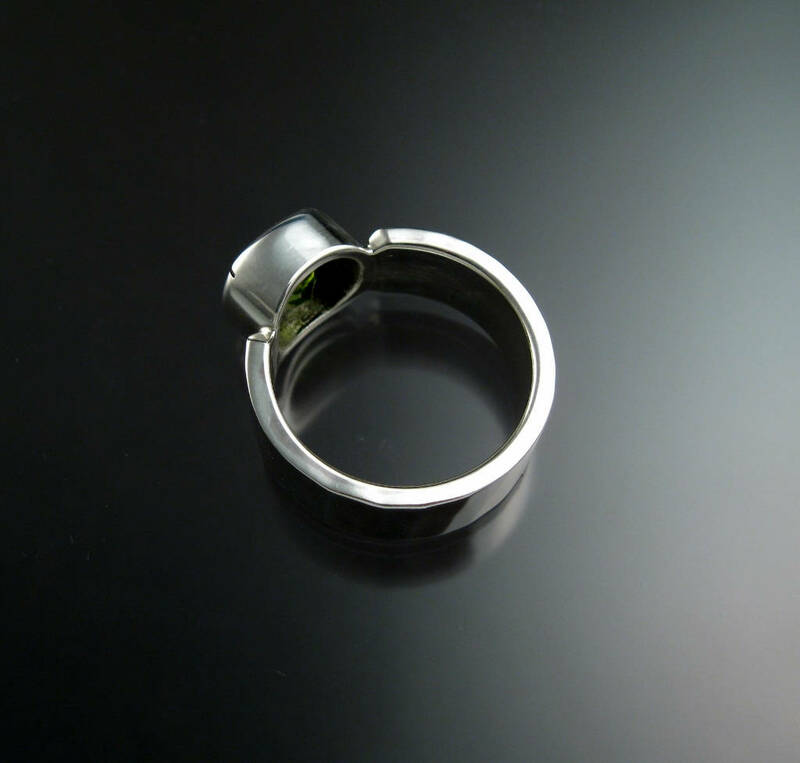 The stone measures 9.7mm x 10mm and is set with 8mm wide 2mm thick forged comfort fit band. 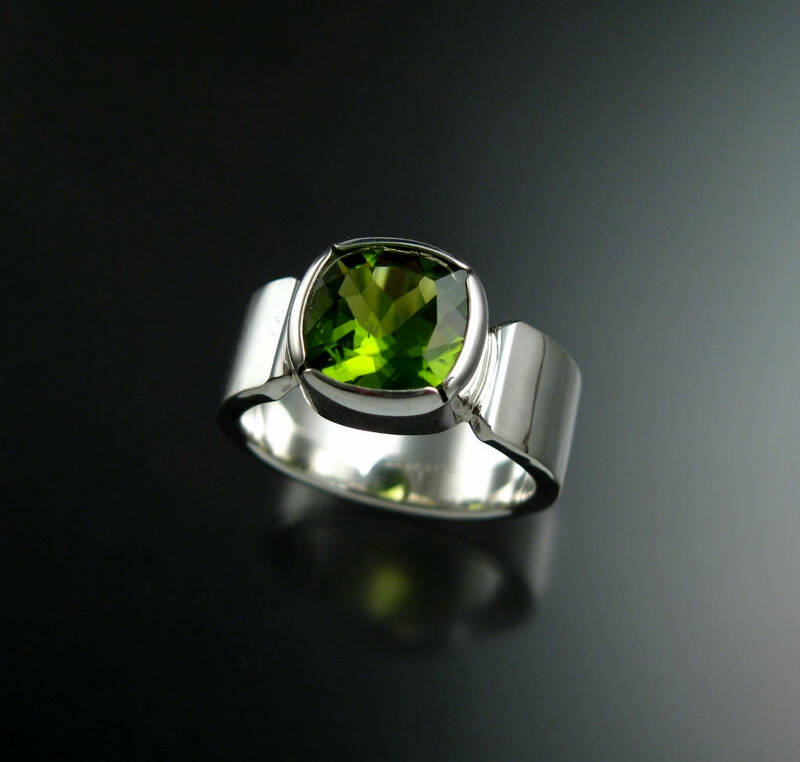 I can make this ring for you in any size between 7 and 13.